RETAIL REVIEW 42 • SHOPPING CENTER BUSINESS • October 2018 T oday's shopper craves an experience. To satiate this need, many shopping center developers and owners are seeking entertainment options that will draw consumers in and help them to create lasting memories. With 77 studios open across the U.S., Wine & Design is offering shoppers a space to enjoy time with friends and family over wine and art. Each studio hosts two-hour painting classes where a consumer can bring friends or a significant other to enjoy a few glasses of wine or a beer, while painting under the instruction of a local artist. Drinks and all supplies are provided throughout the evening — one need only sign up and show up, ready to make memories. Aside from the regularly scheduled classes, Wine & Design offers several options for renting out the space. "We have five different divisions that cater to all ages, including Art Buzz Kids, Team Building, On Wheels, Paint It Forward and DIY," says Harriet Mills, CEO and co-founder of Wine & Design. "We allow customers to come in and enjoy a night out, while putting the technology away and sharing a memory of fun." Each division offers a different, targeted experience. The studio can be rented out for private parties, including birthdays, bachelorette parties and baby showers. Art Buzz Kids classes provide a family- friendly alternative to the classic class with child-friendly subjects and themes. The studio's team building classes are tailored toward bringing co-workers together and can accommodate groups ranging from small teams to large companies. 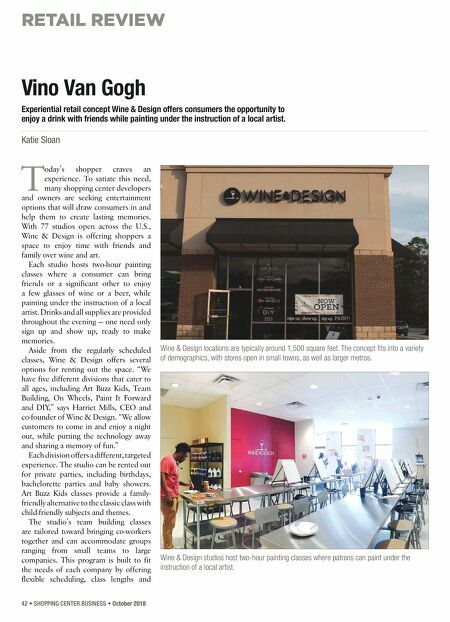 This program is built to fit the needs of each company by offering flexible scheduling, class lengths and Vino Van Gogh Experiential retail concept Wine & Design offers consumers the opportunity to enjoy a drink with friends while painting under the instruction of a local artist. Katie Sloan Wine & Design locations are typically around 1,500 square feet. 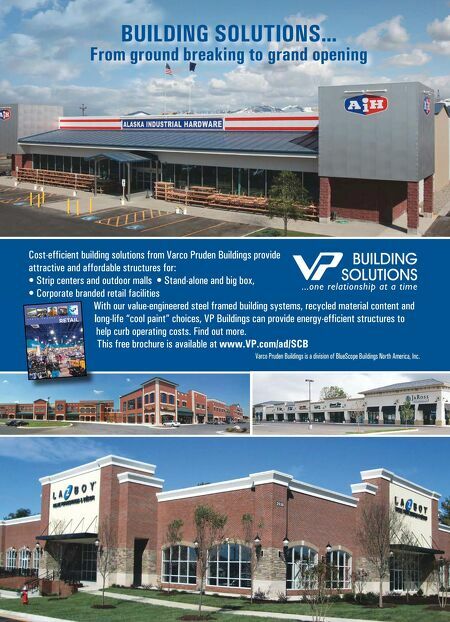 The concept fits into a variety of demographics, with stores open in small towns, as well as larger metros. Wine & Design studios host two-hour painting classes where patrons can paint under the instruction of a local artist.